IS is represented as an utopia, an alternative to the habitual world to which an adolescent has failed to adapt himself. Most of the victims of propaganda are young men on the threshold of adulthood with a low level of education and no wish to study. 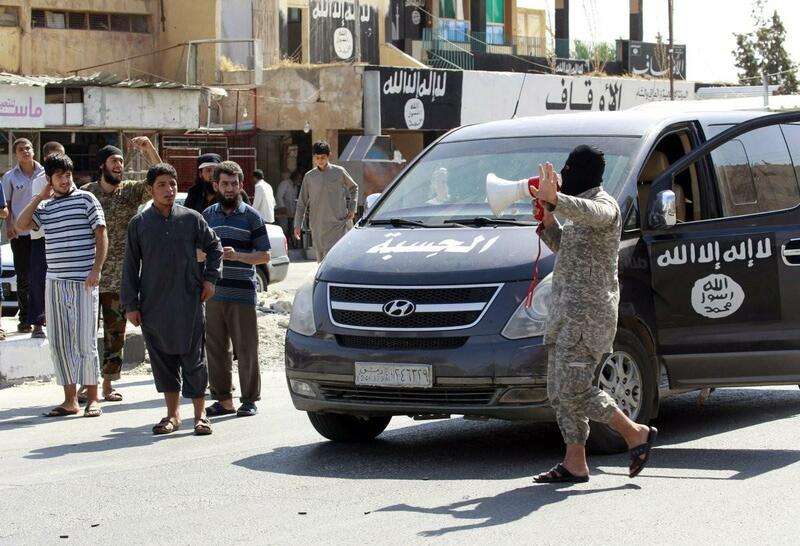 The propaganda materials published by IS makes a pitch to their primitive instincts. IS is represented as an utopia, an alternative to the habitual world to which an adolescent has failed to adapt himself. There is a special approach to the young military which often makes use of their resentment of their commanders. Special approaches are applied to women, especially young women. IS recruiters are conducting their propaganda only among those who can be used either in combat, or in catering to the needs of fighters or in the life-support system of the quasi-state (medical workers, oilmen, lawyers). During the process of recruitment the topic of war is often avoided and the potential target is not told that he/she is sure to end up fighting arms in hand. Finding themselves in a distinct community through magazines, internet apps, communities and social network groups, the potential victims begin by responding to innocuous proposals to discuss the situation in the Middle East, the problems of Islam and the study of Arabic. Once they discover a heightened interest among would-be IS recruits the recruiters subject them to intensive brainwashing, resorting to new motivations and means of psychological pressure – this time for the purpose of recruiting them. 20 730 foreign citizens are fighting on the side of the terrorist groups in Iraq and Syria. Foreign terrorist fighters at present come from more than half of the world's countries. Sociological surveys of the perception of international problems have in recent year registered growing anxiety in connection with IS activities. However, against this background the inflow of volunteers joining Islamic State in 2015 continued, including from West European countries. The soaring numbers of militants, notably those fighting in Syria and Iraq, has caused the international community to pay more attention to assessing their numbers. According to a report of the International Centre for the Study of Radicalisation (ICSR), 20 730 foreign citizens are fighting on the side of the terrorist groups in Iraq and Syria. The largest number comes from the Middle East (11,000), with 3,000 coming from the former Soviet Union countries. "Foreign terrorist fighters at present come from more than half of the world's countries. Al Qaeda-related groups worldwide, including the breakaway Islamic State group, currently have more than 25 000 foreign terrorist fighters coming from more than 100 member states." The period between 2014 and 2015 saw "a dramatic rise (from 70% до 73%) of the number of militants from some European and Asian member states." Outside the Muslim world, France and the Russian Federation were named in the report among the states providing the largest number of fighters. 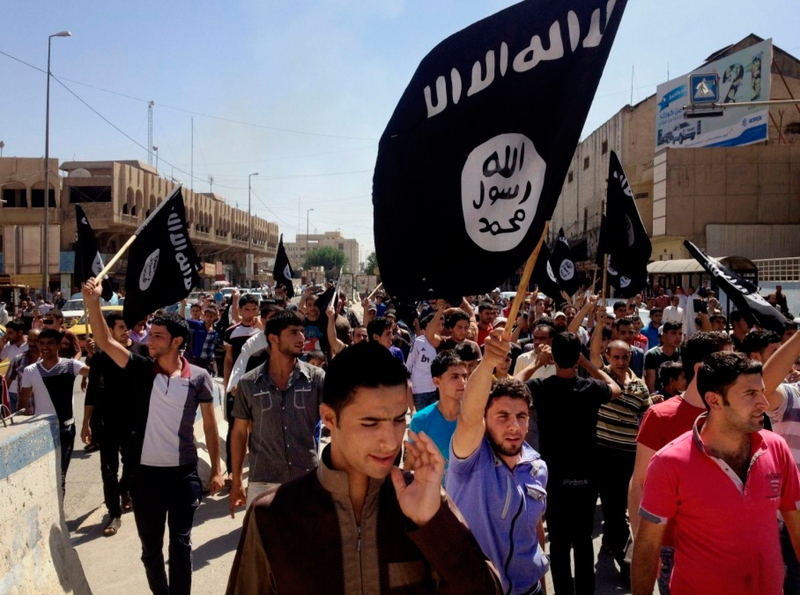 Some 20 000 foreign militants are based in Syria and Iraq where they are members of IS as well as Al Qaeda structures. In Afghanistan, according to the Afghan security forces, there were 6 500 active foreign terrorist fighters in March 2015. The majority of them are linked with Tehrik-i Taliban Pakistan, 300 with Tehreek-e-Nafaz-e-Shariat-e-Mohammadi, 200 with the Islamic Movement of Uzbekistan, 160 with Lashkar-e-Taiba and 150 with the East Turkestan Islamic Movement. In the summer of 2015, according to some estimates, 4 000 people from Western countries, including 550 women, were fighting in Syria and Iraq on the side of IS. All in all, in April 2015 150 people were fighting on the side of terrorist groups abroad. As of January 2015 IS included 100 Americans. According to FBI information released in July 2015, more than 2000 Americans had attempted to join IS. Similar data appeared in the US press in late August 2015. The majority of fighters come from countries with Islamic cultural traditions. According to the Federal Security Service of Russia, as of mid-September 2015 there were 2400 Russian fighters with IS — second place after Tunisia. France closes the four main supplier states of IS volunteers and the first in their number of state of the Western world. The table below shows the 20 countries which provided the largest number of militants for IS. The majority of fighters come from countries with Islamic cultural traditions. There are substantially fewer representatives of non-Muslim countries (outside the EU) among foreign fighters in Syria and Iraq. Most of them come either from the Muslim minorities who traditionally live on the territories of these countries or from amongst migrants from Islamic countries. That is why the list contains mainly the countries with Muslim minorities or with a large number of foreign migrants. According to the Federal Security Service of Russia, as of mid-September 2015 there were 2400 Russian fighters with IS. That puts Russia in third place in the world after Tunisia and Saudi Arabia in terms of the absolute number of fighters. However, it has to be noted that the absolute number of fighters per capita in Russia (considering its large population), although large compared to European countries, is still small compared with many Muslim countries, including post-Soviet ones. According to available data for other former Soviet Union countries, in addition to some 2400—2500 fighters from Russia, a further 2500—4500 fighters from FSU countries, mainly in Central Asia, are fighting with IS in Syria and Iraq. To this one should add the numbers of former citizens of post-Soviet countries in Afghanistan and in Al Qaeda camps all over the Middle East. In October 2014 more than 3000 people from the EU were fighting with IS, according to the European Counter-Terrorism Coordinator Gilles de Kerchove who used official data provided by EU member countries. In its April 2015 report the US Congress research unit puts the number of Europeans with IS at 4000—5000. In April 2014 5000—6000 people from EU countries were fighting on the side of IS, according to the European Commissioner for justice Vera Jourova, a higher figure than reported by the Americans in April. According to Europol, as of 26 June 2015 about 5000 people from the EU were fighting on the side of the extremists. 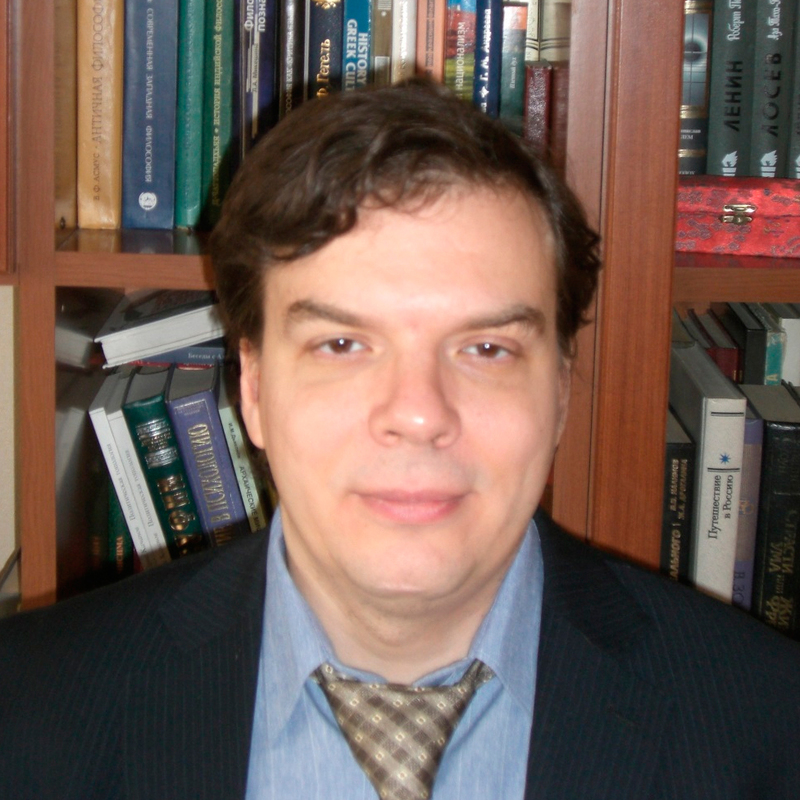 A similar estimate is provided by ICSR Director Peter Neumann. Tahir Abbas, a Professor Turkish Fatih University, in a report to the Council of Europe of 27 June 2015, cites the figure of 6000 EU citizens fighting on the side of IS. According to the French Prime Minister Manuel Valls by the end of 2015 the number of European jihadists will reach 10,000. France is one of the problem countries in the EU which provides between a quarter and a half of all European fighters. 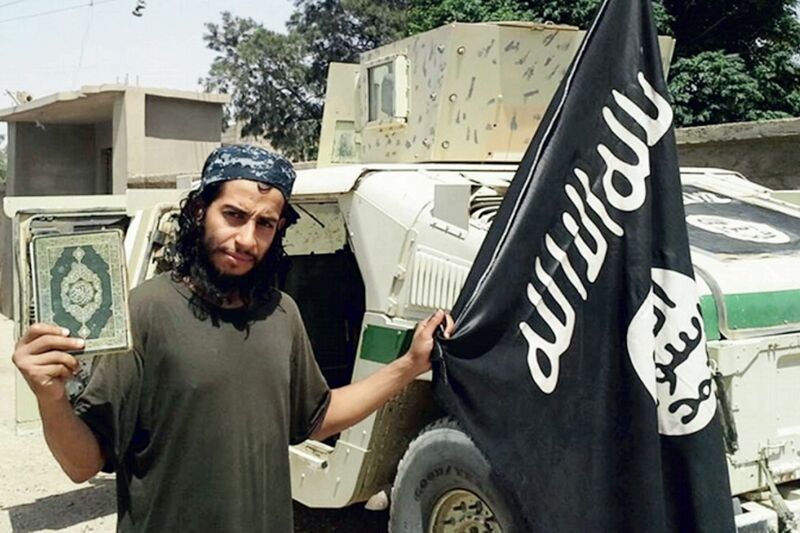 Figures for 2014 indicated that 860 French citizens were fighting with IS since 2012. According to the French Senate Commission report of 1 April 2015, 1 432 French citizens took part in hostilities in Syria, accounting for 47% of all the Europeans fighting in that country. According to a UN Report of 7 April 2015, France is one of the four main suppliers of volunteers for the IS and the biggest supplier among Western states. On 19 May 2015 the French Ministry of the Interior reported that 1600 French citizens were involved in the activities of the IS terrorist network, of whom 457 were on the territories of Iraq and Syria. As of June 2, 2015, 471 French citizens were fighting with IS, according to the French Prime Minister Manuel Valls. On 16 July the country's Minister of the Interior Bernard Cazeneuve declared that about 1850 French citizens were members of international terrorist networks, and about 500 of them were in Syria and Iraq. However, French intelligence reported on 31 July that there were not 500, but 906 French militants fighting with IS in Syria and Iraq. 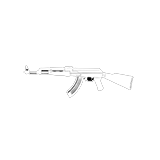 The French Foreign Minister Laurent Fabius told the Senate on 15 September 2015 that there were up to 1800 French citizens in the ranks of terrorist groups: 491 of them were in the zone of hostilities and 133 had died. As of June 2015 the total number of French militants killed was 110, according to the French Prime Minister Manuel Valls. According to French intelligence data, as of 31 July 2015, 126 people had been killed: of whom 3 in 2012, 15 in 2013, 49 in 2014, 59 in 2015 (a 44% leap on the previous year). Five of the dead were under-age. As of the beginning of 2015 the number of fighters who had returned was 180, according to official data cited by Jeune Afrique. The problem of citizens leaving the country to join Islamic State terrorist group is a big talking point in Great Britain. It is often attributed by the expert community and the media to the overall crisis of the British model of multi-cultural society. By the autumn of 2014 an estimated 500 fighters from Britain had joined IS since 2012. As of the beginning of 2015 the official figure was 600 fighters. The report of the International Centre for the Study of Radicalism (ICSR) for January 2015 also cites the figure of 500—600 fighters. An estimate by the British special services and police puts the total number of people who left between 2012 and July 2015 at about 700. According to Europol data, as of 26 June 2015, about 700 British nationals fought on the side of extremists. The same figure was cited by the British press in mid-September 2015. The report by the International Centre for the Study of Radicalisation and Political Violence (ICSR) mentions Britain among European countries with the smallest number of fighters per capita, 9.5 per 1 million. However, considering the size of the country's population, as of the beginning of 2015 about 300 fighters had returned to Britain, which poses a serious socio-political problem. As of late 2014 according to the International Centre for the Study of Radicalisation and Political Violence (ICSR), the number of fighters from Germany who had joined IS was 500—600, ie. 7.5 per 1 million people (not the highest, but not the lowest indicator, which puts Britain roughly in the "middle group"). The number of fighters from Germany increased from 550 at the start of 2015 to more than 700 in August 2015. The number of deaths among German citizens with IS was over 90. The number of those who returned to Germany was about 180 as of the beginning of 2015. However, in the spring of 2015 the number of returnees rose to 200. The number of Austrian fighters, according to ICSR, was 100—150 as of late 2014, but on per capita basis it amounted to 17 per 1 million, on a par with the European countries with the largest number of fighters per capita. The estimate further increased to more than 200 by the spring of 2015. Of that number 70 people are presumed to have returned to Austria and 30 are presumed dead. Interestingly, the majority of Austrian citizens who join terrorists are representatives of the Chechen and Bosnian ethnic communities. What is the success of the recruitment? One of the target audiences of the recruiters are disadvantaged Muslim youths from poor eighbourhoods. In the context of the complexities of the modern post-industrial world religious fundamentalists offer very simple answers to spiritual and life problems. 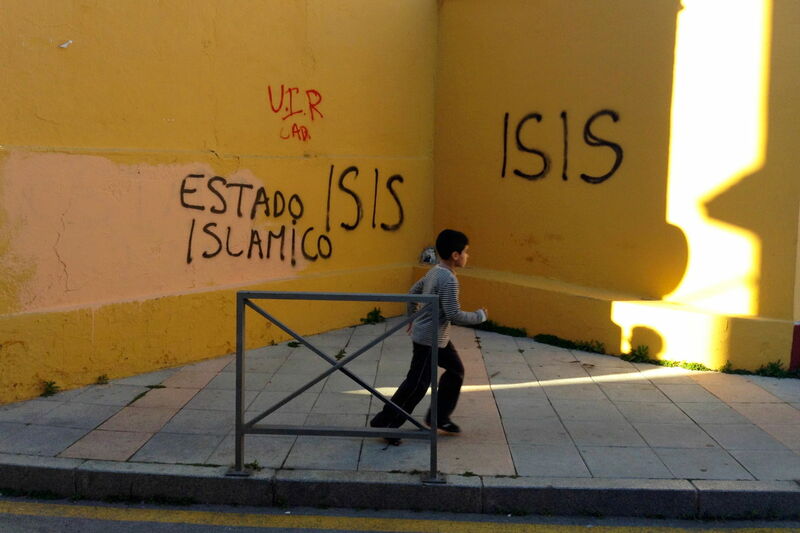 There is a whole range of motives that prompt young people to join international terrorist groups. In general, it is a sign of spiritual and cultural problems in the countries where militants are recruited. The first cause is the spiritual crisis of secular culture in the post-industrial era. A study carried out by the French Centre for the Prevention of Islamic Related Sects (CPDSI) has revealed the key role, not of social, but of cultural and psychological problems. According to the study, young people in that country who are drawn into radical Islamist groups mainly belong to the middle class (67%) and even come from atheist families (80%). In the context of the complexities of the modern post-industrial world religious fundamentalists offer very simple answers to spiritual and life problems. The fundamentalist ideology determines a clear aim in life, creates a sense of being involved in something larger than the individual. Islamists have an idea of belonging to "a group with a pronounced identity which opposes itself to the rest of the world." 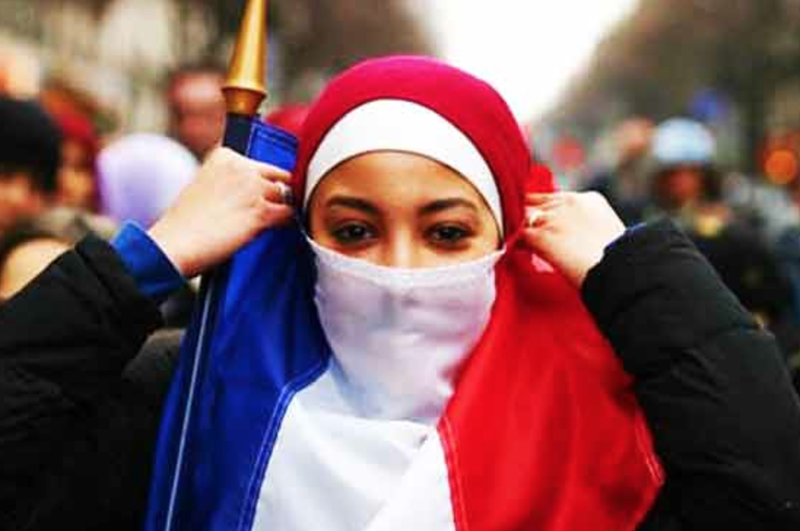 Young radicals find in the idea of Jihad "a complete system of values they failed to find in their native country," a report of a special French Senate commission points out. The second cause is social. In the relatively well-off Western world the main motive of being recruited is the low level of integration of Islamic youth in the host society. One of the target audiences of the recruiters are disadvantaged Muslim youths from poor neighbourhoods. Such people fall easy prey to IS, the romanticism of Islamic brotherhood, identification with a great idea, etc. However, the further away from the Western world the recruitment takes place the greater the role of the wish to make a lot of money and to live well. In that sense "joining Jihad" is simply an extreme form of employment. Protest against corruption in third-world countries also plays a part. The third reason why people get recruited is the effectiveness of Islamic propaganda, especially that coming from IS. IS media managers often combine scenes of ruthlessness towards the enemy with demonstration of the readiness of their fighters to consciously sacrifice their lives for an idea. The message is being drummed into the heads of Muslims that they would unite in a single Umma by overcoming ethnic, political, psychological and behavioural differences. There are five main messages: "cruelty" ("ruthlessness"), "mercy" ("compassion") "sacrifice," "military strength," and "belonging to a great cause." These symbolic concepts, often used in various combinations, constitute the IS brand. 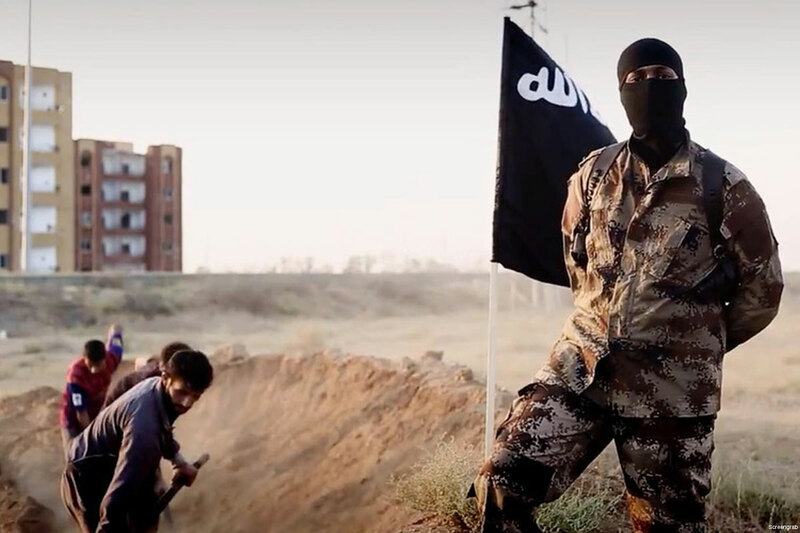 IS mega-strategists have introduced the practice of unprecedented and aggressive demonstration of the brutality of Islamic State (spreading videos of executions through beheading, burning alive, etc.). This is a well-thought-out picture designed to evoke associations of the pictures with ideas – triumph with a vengeance – and to be combined with contrasting pictures of "mercy-compassion" as expressed in set up scenes of repentance of the "lost souls" (typically prisoners or hostages who publicly pledge allegiance to IS) and the "triumph of revenge for the death of Muslims" (pictures of executions are often interspersed with pictures of civilian victims of air raids, etc.). 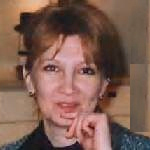 IS media managers often combine scenes of ruthlessness towards the enemy with demonstration of the readiness of their fighters to consciously sacrifice their lives for an idea: videos are posted of the last hours of some young people who speak about their preparation for a "martyr's death" before the camera zeroes in on the action (the suicide bomber blowing himself up). The IS media managers belabour the theme of "involvement in a great cause" and "brotherhood within the Caliphate" hoping to lure potential recruits, and the message is directed mainly at Muslims in the West and in Russia. The message is being drummed into the heads of Muslims that they would unite in a single Umma by overcoming ethnic, political, psychological and behavioural differences. The central item on the Islamic State agenda, the creation of the Caliphate and its successful implementation, is smuggled in indirectly, through reports that mix fact and fiction; propaganda experts stress the creation of government structures promoting the idea of a full-fledged state. To this end the governing bodies at all levels are called "ministries," "departments", a taxation system is introduced, social services are put in place as well as mechanisms of the exercise of executive, judicial and penal functions are introduced. To set themselves off from rival groups, notably Al Qaeda, IS gears its propaganda to demonstrating its "military might": showing military parades, military hardware, including that seized from the enemy, and demonstration of the flag. A major element in this propaganda is to show IS as "victorious", ie. scoring endless victories in the shape of seizing enemy strongholds, population centres controlled by the enemy. Visually, the same idea is bolstered by the demonstration of the "regular army" with its uniforms, a strict system of command and subordination, discipline, etc. Analysts have managed to spot numerous manipulations and falsifications, as when, for example, fighting is taking place on one section of the front while "successes" are filmed on another section and belong to a different time. Because most countries have banned IS and deny it access to the media, IS activists use the Internet as their main vehicle, using recruiting techniques modelled on network marketing. Interest groups created in the social media act in a stereotyped way: The members exchange information, videos and photos providing them with certain hashtags. Until 2013 IS used for its propaganda work Al-Furkan base (which prepared Web materials, CD и DVD). In 2013 two more IS propaganda think tanks were created called Al-Iatisam and Al-Hayat Media Centre which set about producing materials targeting Western audiences, ie materials not only in Arabic, but also in other languages. Propaganda was later extended through Al-Balagh Media, Asawirti Media, and Al-Ghuraba Media Fursan. The year 2014 saw the launching of The Ajnad Media Foundation specializing in broadcasting Muslim Nashid chanting, the online magazine Dabiq in several languages, The Islamic State News journal (ISN) aimed at audiences outside Syria and Iraq and several Arab-language outlets. 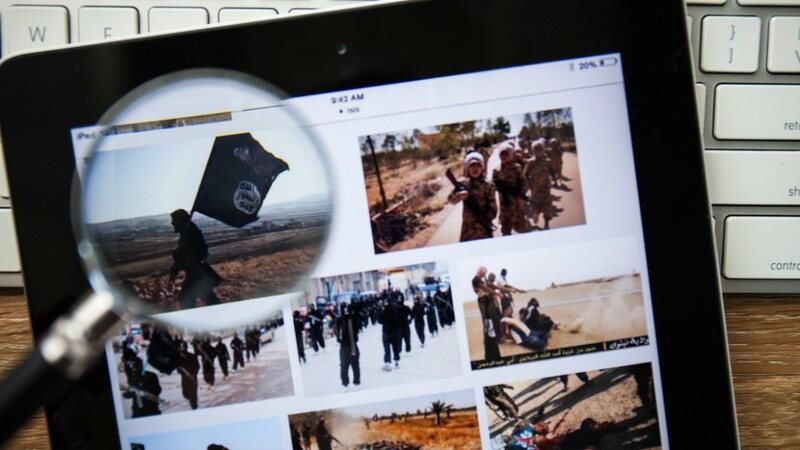 In addition, extremists make wide use of smartphone applications such as the currently shut down The Dawn of Glad Tidings, and others which access dating sites. There is plenty of evidence to show that by far the largest number of dates between Islamic States militants and girls from Western countries and Russia are taking place on matrimonial sites (nikah.com, inshAllah.com) and some lesser known sites. The analysts who study the work of the IS propaganda machine say that 2014 was "the most effective and terrifying" year. That year saw the launching of the first full-length professionally made documentary devoted to IS military operations, "Clanging of the Swords IV." Previously, terrorists shot and regularly launched on the Internet "scary" trailers with a running time of between 50 seconds and 3-5 minutes (more than 5000 videos). Is that a retreat from multiculturalism principles? France adopted a special programme of the Ministry of Higher Education and Research called "Grand Mobilisation of Schools for the Values of the Republic" published on 9 February 2015. The programme includes the following measures: training 300 000 methodology teachers in these spheres; development of a system of school media devoted to the topic; interaction with the national media and internet portals; introduction of the Secular State Day at schools; commemorative events of a patriotic character; introduction of the Day of National Defence and Civility Day; introduction of the Week Against Racism and Anti-Semitism as forms of radical behaviour; promotion of studies into radicalisation; spreading methodological aids alerting to possible signs of students' involvement in radical religious organizations. Developing a programme to reintegrate former members of extremist groups into normal life, for which purpose a network of individual mentors is to be created. The National Senate Commission formed in the wake of the terrorist attacks on 7—9 January 2015 approved a range of measures to reinvigorate the work of education institutions to promote secular values. The senators proposed introducing The Teacher's Oath taken when assuming the teacher's job and stipulating the obligation to promote among students knowledge of the outstanding pages of French history in order to strengthen social cohesion. France has also launched a drive to introduce the practice of conducting comprehensive anti-extremist seminars for teachers, medics and social workers on how to counteract extremism. The aim of the seminars is to identify early signs of radicalisation of young people (arising at the stage of recruitment by religious extremists). These include social isolation of teenagers, a break with the former circle of friends and renunciation of the habitual way of life. Experts have praised the practice of holding such seminars. To promote education aimed at introducing the European cultural values all the schools teach the Charter of the Secular State at School whose aim is to inform the teachers that France is a single secular state in which citizens, along with rights, also have duties. The Charter was developed by the Ministry of Higher Education and Research in 2013 on the basis of the country's Constitution and the Law on Education. It contains fifteen articles setting forth the main principles of the behaviour of pupils and education workers, in particular, a ban on the demonstration of religious symbols and wearing religious clothes. This model marks a conscious departure from the principles of "multi-culturalism." In Great Britain the fight against religious extremism is concentrated at higher education institutions. Under the comprehensive programme Prevent launched on 1 July 2015, a set of measures are to be taken, for example, all the teaching staff at higher education institutions will be briefed thoroughly on the problems connected with the spread of religious extremism. Special attention will be focused, de facto, on Muslim students although this topic is muted in official materials to avoid accusations of "racism" and "migrant-phobia." In Great Britain, under the new counter-terrorist legislation that came into force on 1 July 2015, schools must introduce special software that would monitor the school pupils' internet activities, including correspondence in the social networks to spot the special terms used by recruiters of terrorists. Several companies (Impero, Future Digital, Securus) have already tested pilot samples of such software at several schools with good results. Based on the analysis of video and printed propaganda of extremists a detailed glossary of extremist terms has been compiled which is being used in monitoring programmes. 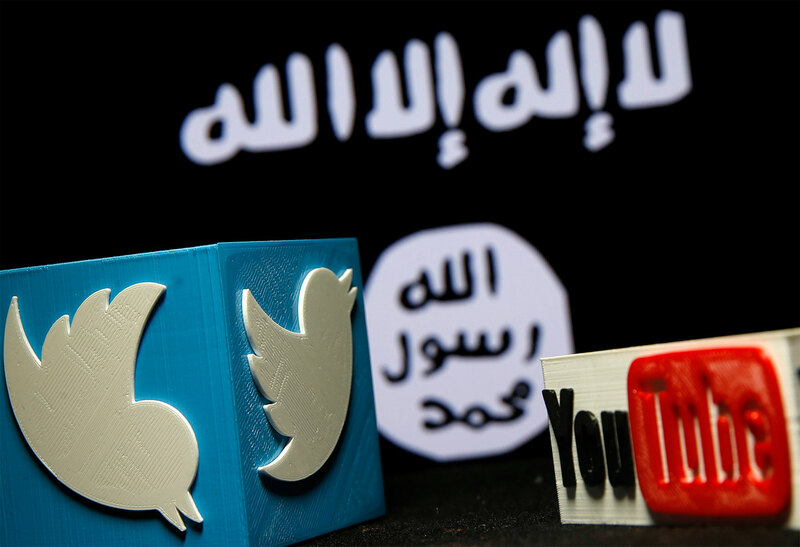 The results of the introduction of that measure on a large scale are not yet known, but considering the important role of the Internet in recruiting religious terrorists, monitoring the effectiveness of this work is highly relevant. One approach used in Great Britain is to involve representatives of the traditional Islam in the fight against religious extremism. To this end there is close cooperation with religious organisations which develop and teach courses where Muslim theologians demonstrate that the extremist ideology is incompatible with the religious norms of Islam. This model is closely linked with the concept of "multiculturalism." In the FRG political education agencies at ministries for family and youth affairs at the level of Lands hold annual seminars on extremism at schools. 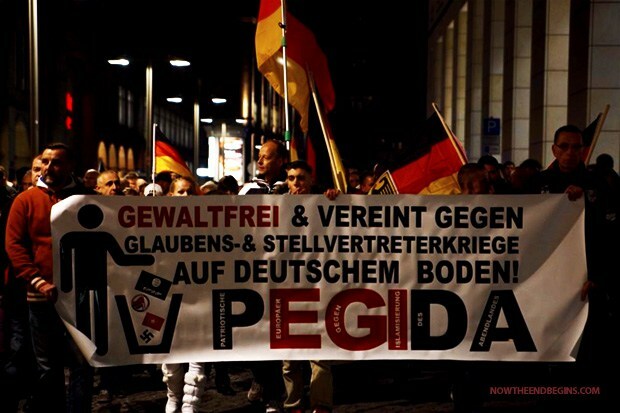 They emphasise the new threat of religious extremism and the old German problem of ultra-right, neo-nazi extremism. On the whole experts give high marks to the results of the work to combat ultra-right extremism. As for religious extremism, it is too early to assess results considering the novelty of the theme. Austria has since 2011 implemented the programme "Together: Austria" which combines propaganda via Internet and elements of the school curriculum. 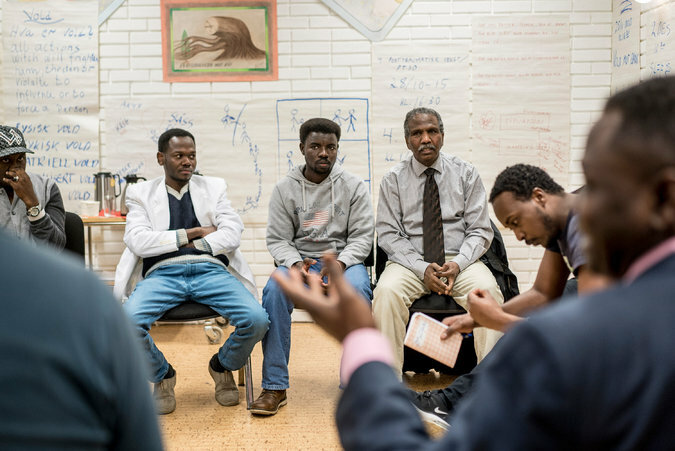 An important mechanism of the Austrian programme of integrating migrants is bringing in successful members of diasporas to give lectures at schools. More than 300 "ambassadors" visit education institutions sharing the experience of achieving success in Austria. The programme has a 20,000-strong audience. In 2014 the "I am proud" initiative was added to the proramme to become one of the most popular information campaigns of the Austrian government on Facebook. Users have been invited to shoot and upload a short video on what makes them proud of their country. Particular attention was paid to the migrant audience. During the first two weeks alone about 50,000 users uploaded their materials on Facebook and 2,500 on Twitter. Associations of ethnic and religious communities have actively joined the campaign. 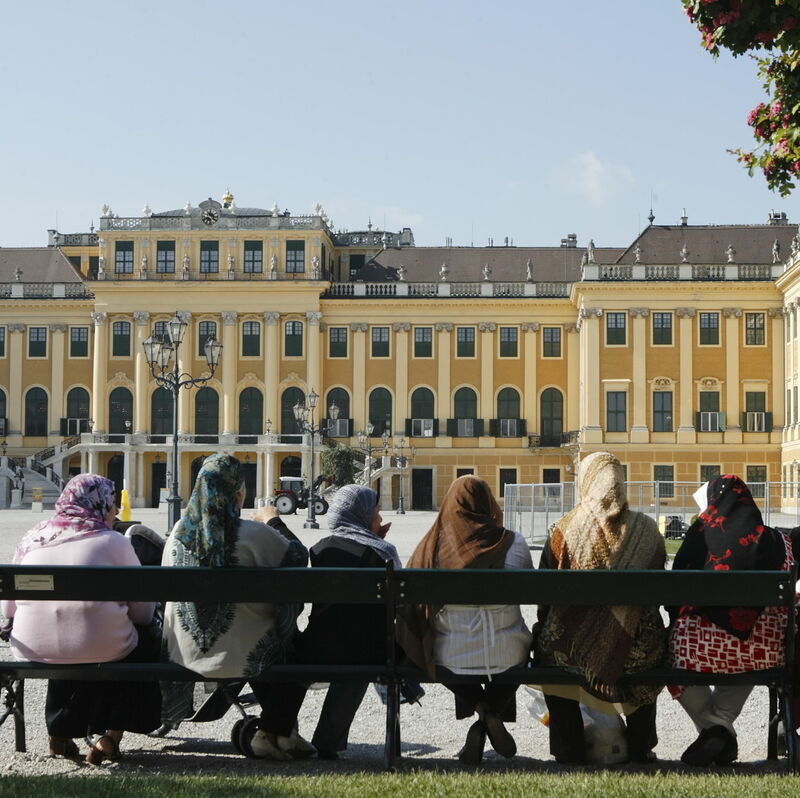 The results of the Austrian measures got very positive assessments because the coverage and the extent of voluntary participation of national and religious minorities belonging to the "high-risk group" in connection with the terrorist threat, considering the size of Austria, proved to be very good. In December 2014 the results of the programme were pronounced to be very satisfactory as a result of an investigation. 62% of the Austrians involved in the campaign noted that it had exerted a positive influence on them (there were a thousand respondents). After the terrorist attacks in Paris in January 2015 the Austrian Foreign Minister Sebastian Kurz urged the schools to respond to the danger of political Islamism. For its part the Education Ministry prepared a plan to tackle extremism in schools. The plan envisages specialized seminars for schoolchildren; training of teachers in what to do if a pupil is suspected of being radicalised; introduction of special programmes at teacher-training establishments in collaboration with the Interior Ministry. These special programmes are supposed to teach would-be teachers how to prevent religious conflicts, promote intercultural communication, build personal relationships with the representatives of other cultures and religions. As early as the middle of 1997 police in Norway and the parents of children who had been involved in radical groups initiated a programme called Exit. Its aims were as follows: to support young people wishing to leave radical groups preaching violence; to support the parents whose children had been involved in such groups; to develop and disseminate information and methods of work for teachers and social workers. Initially the programme was mainly targeting ultra-right racist extremism. However, the principles of the Exit programme were subsequently spread to the daily work of police and services dealing with the problem of youth radicalization and recruitment of religious extremists. The key element of the Norwegian strategy of deradicalisation is "Confidential Talks" aimed at keeping the individual within socially acceptable limits as an alternative to criminal prosecution. Identifying potentially problem young people is within the competence of a large circle of people: policemen, teachers, religious leaders, youth clubs and local citizens. Under the Action Plan against extremism and radicalisation unveiled by the Prime Minister in 2010 the strategy has proved to be effective in preventing the adverse consequences of demonstrations in the wake of Israel's attack on the Gaza Strip in 2008—2009. The main principles of the Norwegian strategy of preventing radicalization are as follows: emphasis on re-education and not punishment; fighting radicalization through the work of secular organizations (police, school, non-governmental organizations, etc. ); acceptance of Norwegian values by the migrants; establishing cooperation and contacts with Norwegian Muslim organizations; the key role of the police in the above-mentioned processes. In mid-2010 Norwegian schools launched a new programme (though of course connected with the old one content-wise) based on interaction of the school management and parents in combating radical behaviour among pupils and teachers. All manifestations of extremism are being tackled: religious extremism of Muslims as well as racism and xenophobia directed against Muslims. On the whole experts assess the results of this programme in a fairly positive way. Being mindful both of the shortcomings and achievements of the previous programmes (notably due to the need to intensify work with migrants) the Norwegian government recently developed an Action Plan under which the Ministry for Children, Equality and Social Inclusion was tasked with conducting courses to explain the fundamental principles of the life of a democratic society to arriving migrants and the Norwegian social policy to religious migrant leaders. The Aarhus model of deradicalisation of former militants has been widely publicised. It was developed in January 2015 in Aarhus, Denmark where a special centre for deradicalisation of militants who had returned from Syria and Iraq was set up. A hot line was established for citizens to report their problems. The key principle of the model is maximum involvement of the victim of radicalization in society. The police, the social services, teachers and parents control and at the same time act as mentors. However, the model has been criticised by some experts (notably in Sweden) for its overly lenient attitude to terrorists who have already committed serious crimes. So, the model can hardly be called unassailable. The Swedish experts consider dubious the successes of the Danish programme much-touted by the media, including the BBC. That group of experts believe that the strategy of criminalising actions and putting former militants under special services control is a safer bet. Thanks, I'm on board already! Project produced by: Daria Khaspekova, Alisa Zamurueva, Irina Sorokina, Maria Gurova, Maria Smekalova, Alexander Teslya and Dmitriy Puminov. Working paper production editors: Ivan Timofeev, Timur Makhmutov, Elena Alekseenkova and Vladimir Morozov. Images used in the project: Reuters, AP, EPA.